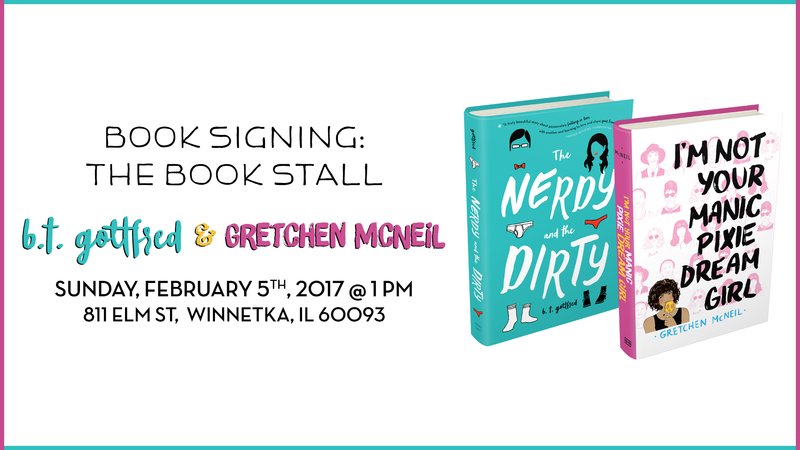 Sunday, Feb 5, 2017 @ 1pm – The Book Stall, Winnetka, IL: Book Signing with B.T. Gottfred & Gretchen McNeil. YA authors B.T. Gottfred and Gretchen McNeil will visit the store to discuss their new novels. 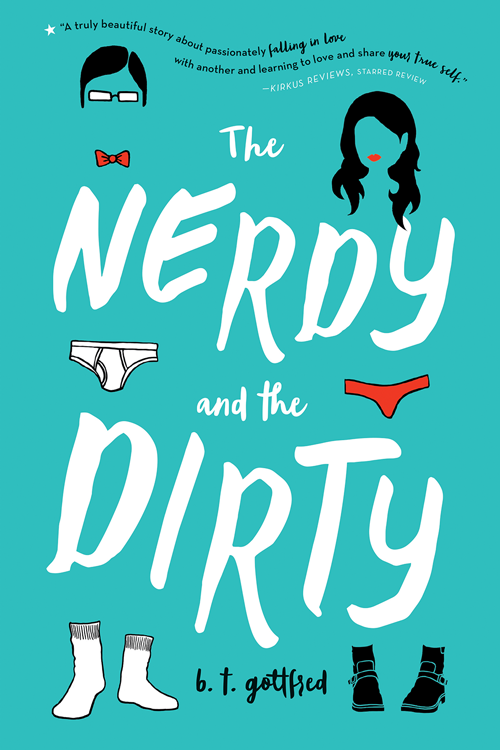 Gottfred will discuss THE NERDY AND THE DIRTY. 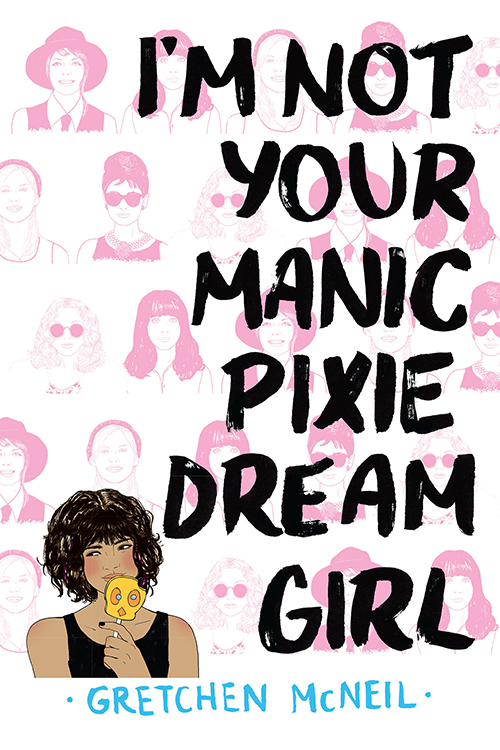 McNeil will discuss I’M NOT YOUR MANIC PIXIE DREAM GIRL. Pen Lupo is sick and tired of hiding who she is. On the outside, Pen is popular, quiet, and deferential to her boyfriend. 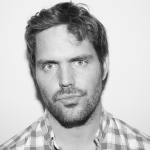 On the inside, however, Pen is honest, opinionated–and not quite sure that she’s like other girls. Do they have urges like she does? His classmates may consider him a nerd, but Benedict Pendleton knows he’s destined for great things. All he has to do is find a worthy girlfriend, and his social station will be secured. Sure, Benedict is different–but that’s what he likes about himself. Beatrice Maria Estrella Giovannini has life all figured out. She’s starting senior year at the top of her class, she’s a shoo-in for a scholarship to M.I.T., and she’s got a new boyfriend she’s crazy about. The only problem: All through high school Bea and her best friends Spencer and Gabe have been the targets of horrific bullying.